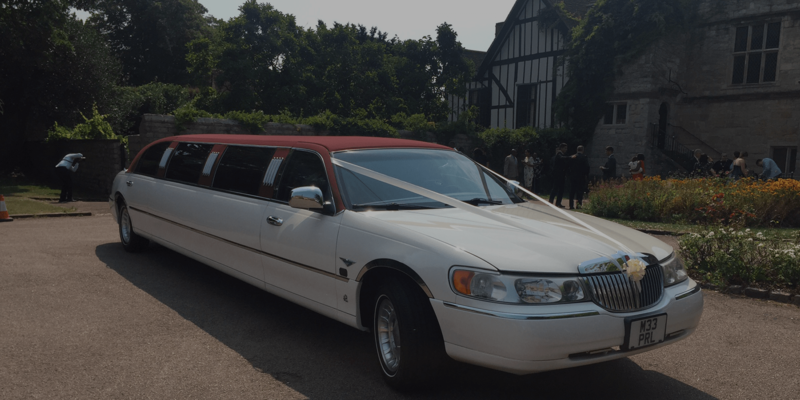 In need of a limo hire in Purley? 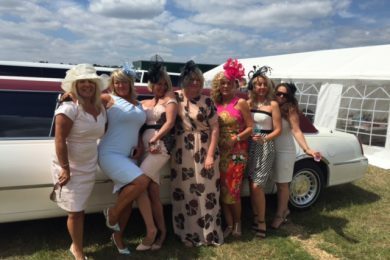 A limousine hire adds that extra extraordinary touch to your celebrations. Elegant and stylish, our limousines have everything that you need for a night to remember. Enjoy a cool glass of champagne as you converse with your friends, watching the dazzling laser lights dance against the ceiling as the music plays from our state-of-the-art sound system. With this five-star limo experience, you’ll be starting the party on your way to the party. Once you arrive, our chauffer will assist you as needed. All our drivers are personable and accommodating, with years of experience under their belt. Kent Atlantic Limousine has a wide range of limousines to choose from. 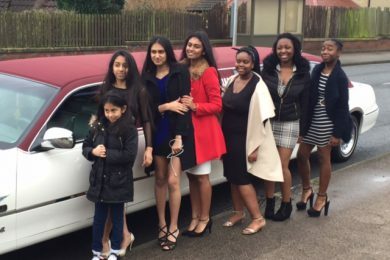 We can cater for very large groups with our Ford Excursion 4×4, a truly impressive stretch limousine with a spacious cabin enough to fit a whole party. For something more intimate, our famed red roofed Lincoln is an eye-catching vehicle ideal for smaller parties. 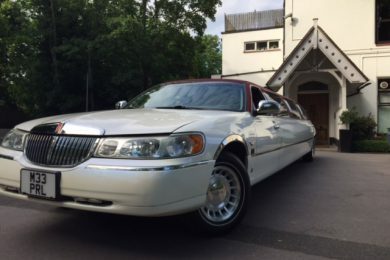 With a sparkling white exterior and a striking red roof, this limousine is sure to turn heads as you arrive. Kent Atlantic Limousine caters for any occasion, from birthday parties to weddings. Enjoy a grand entrance for the bride and groom, or rest easy with a relaxing ride to your honeymoon destination. Your special day requires a special ride. Arrive in style and give the bride a grand entrance. When the celebrations are over, let us whisk you away to your honeymoon in utter comfort. Available night and day, Kent Atlantic Limousine can keep the party going round the clock. Enjoy a beautiful night out in comfort and style, enjoying the very best of what we can offer. Impress your clients or treat your employees with limousines hires in Purley. If you have an important corporate event or a company milestone, a limousine is a convenient, comfortable and stylish ride. 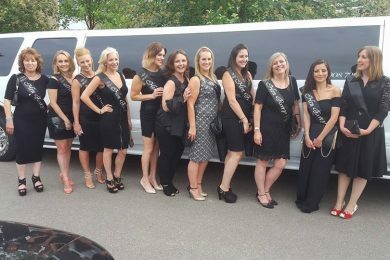 Be out and about with the girls with a hen night limousine hire. 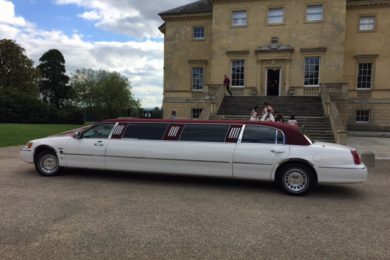 Perfect for large groups, limousines are an excellent way to get around. We can drive you to and from multiple destinations, from a spa, to the restaurant, to the club. Need a safe, reliable ride for your teenager and their friends? 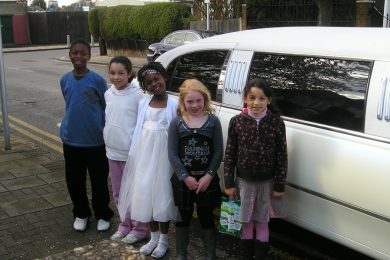 Our limousine hires are a superb choice for proms and dances. We stay on schedule and can drive your teens to and from your destination safely. Kent Atlantic Limousine always upholds the highest standards of safety. All our drivers carry a professional licence and are carefully vetted and trained to ensure the highest-quality service. Our limousines are well maintained and always sparkling clean. Our limousines are competitively priced. Talk to Kent Atlantic today and we will provide you with a quote that works best for you. Request a quote today and we will be happy to discuss your limousine hire needs. As we are local to Purley we can provide the lowest prices available. Our drivers all know the Purley area very well so getting to and from your destination will be no problem.